This quick reference is here to save potential Graphic Design and Web Design clients time in making an informed decision. I have also included links to services I recommend. If you do not see the answer to your question below, feel free to contact me with your query. I will be happy to answer it as soon as possible. What is your policy for accepting payments? How much do you charge for (this particular service)? If I want to use a particular stock image, video, or audio, how does that work? Can you register my domain name and/or hosting for me? If you build a website for me, do I pay you a monthly fee to keep it online? What is your policy regarding website updates? I like (this particular feature) on (this particular website). Can you incorporate it in mine? Where should I get my apparel design printed? Do you print apparel designs? How much would you estimate it would cost to get these printed? What kind of files will I receive when the product is finished? Will I be able to use my logo for (list of applications)? How much would you charge for…? Do you offer printing for your designs? Would it cost more for a larger size, a brochure, etc? What file format should I take to the printer? Can we use (this particular copyrighted image, music, video, or application)? I accept checks and money orders, payable to Derek Price. I also accept credit cards, debit card, and Paypal. 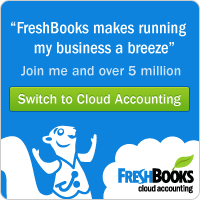 All of my invoicing and secure online payments are made via Freshbooks. Clients receive their own user accounts, and can log in at any time to make payments or see the status of their retainers. It is my policy to collect a payment up front to begin work. For larger projects, I collect a deposit (usually half), and the balance when the work is completed. I am flexible regarding payment plans, but the finished product will only be delivered when the total amount has been collected. Please note that once you have received proof of work (logo comps, a link to the website in progress), your deposit is nonrefundable. Every job is unique, therefore I do not publish pricing. Please contact me for a quote. Yes! I have helped countless clients register their domains and hosting, at no extra charge. I can walk you through it over the phone, or complete the process myself. Your personal and payment information is safe with me. I have even provided free consultation regarding domain name choice. If you’re baffled as to what to call your domain, or not so sure you’re making the right choice, let’s put our heads together and discuss pros and cons. I do offer website updates. I work exclusively on retainers paid up front. We will work together to determine what the best amount for you will be, based on your needs and budget, and relative to my hourly rate. When I have completed the work that you have paid for in advance, we can negotiate another retainer, and begin the process again. Updates are typically performed within 24 hours, during regular business hours. If you decide to choose another designer later, I will provide all of the files and information necessary to do so. No questions asked. No. Your website will stay live and online as long as you keep paying your registrar/web host. The only additional fees I may charge would be for providing updates and changes after we go live. Quite possibly! I love trying new things and expanding my skill set. If you want it, and I don’t know how to do it, I will do the necessary research to find out the logistics. Email me with your challenge today! I do not own a printing press, nor a warehouse full of blank apparel. I can however heartily recommend the fine folks at Mammoth Printshop in Alabama. They have printed hundreds of shirts for my clients and my own projects over the past several years. If you have any preliminary questions regarding printing your apparel, I have six years of direct work experience in that field, and would be glad to help you. For applications such as signage and apparel printing, it is especially important that the exact color match is chosen. For AT&T Wireless for example, their proprietary bright orange is an unmistakable calling card. I keep a Pantone Formula Guide in-house to make sure that we can match colors and get exactly the right shade. If you are looking for something specific, just let me know. I can provide a ballpark figure, but printers’ rates vary. Please consult with your printer of choice to avoid a surprise! What kind of files will I receive when the product is finished? Will I be able to use my logo for (insert application here)? When I finish your logo design, you will receive a digital download link containing all of your files. I will include Pantone color matched vector files (EPS), with and without effects (if applicable), transparent PNG files, and JPG files. If you need additional formats and sizes, no problem – just ask. How much would you charge for (insert project here)? Again, every project is unique. You can expect to pay more for a project featuring a full color, 16-page booklet than one with a two panel, black and white insert. Email me for a quote, and I will gladly discuss your options. I do not offer printing services. I would recommend consulting with local businesses who do a high volume of printing. I may or may not charge more for a tabloid size design than a letter size design. A job that requires multiple panels, such as a brochure, would come at a higher price point. This is mainly due to the time copy and layout work require. Most printers will accept a high resolution PDF or JPG file for advertising pieces. I always back up all of my work in layers, so your particular printer requests a different file format, I can provide it. Unless the copyright holder has given express written consent for their material to be used, I will not comply to this request. I only use royalty free materials otherwise. I will never sell or distribute your personal information in any way. My clients’ privacy is very important to me. I may however, feature your testimonial and project on this website, with your permission.